This album contains some images of new weavings, hoops, mobiles, and installation art. Like Rumpelstiltskin, I am creating objects of art by weaving together the ubiquitous, the quotidian, and the ephemeral, instead of his straw. 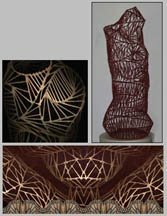 My work is sculptural basketry. Tatlin meets the Appalachian Craft tradition and beautiful organic forms take shape. 2015 to Present – Trustee – Village of Lansing, NY. Served one year as Deputy Mayor. Served two years as TCCOG representative, Served one year on TCAT Transit Services Committee. September 2016 – The Moondog Rings – Old Saint Nicolas Church, Frankfurt Germany Installation as a continuation of the Moondog Centennial. LKNB focuses on second wave disaster relief and remediation of substandard housing in and around Tompkins County. September 2014 to June 2015 – The Potter’s Room, The Commons, Ithaca, NY – Gallery Manager – I produced 6 shows for emerging artists. I had my sculpture on exhibit throughout the year. January & February 2014 – Tompkins County Public Library, 101 E Green St, Ithaca, NY – 9 pieces in the Avenue of Friends showcases with fellow sculptor, Eva Capobianco. 2013 – Pressbay Alley,118 W Green St Ithaca – Art in the Alley with Team 607 and ArtE – Participant as public artist, allowing the public to work with me in the building of sculpture at an outdoor art event. Projects included floating sculpture, building bridges, mobiles and freeform. 2013 Community Arts Partnership – Arts in Education Grant with Sean Nolan, Physics Teacher at LACS, Ithaca, NY – The Art of Physics – working artistically to explore & understand the principles of physics. June 2013 – Ithaca Commons Art Wall Project, Participating Artist. 2012 – East Shore Festival of the Arts Exhibiting Artist & Graphic Designer of festival program. 2010 – Art Director – Campaign to Re-elect Mike Koplinka Loehr to Tompkins County Legislature. 2010 – State of the Art Gallery, 120 W State St # 2, Ithaca, NY – Small Works Invitational – Participating Artist. 2012 – Ithaca Public Education Initiative – Red & Gold Grant – Environmental Education Through Touring Arts Programs. 2002 – 2007 The Vein & Laser Center, 8 Brentwood Drive, Ithaca, NY – Art Direction/ Graphic Design on identity development for Sundara Spa MD and advertising campaign for The Vein & Laser Center. September 2004 – Transorma Art Center, Waterburg Rd, Trumansburg, NY – Curator and Producer of a group show with Joyce Stillman, Paul Chambers, Sidney Piburn. Exhibited 12 pieces. November 2003 – Community School of Music & Art, 330 E State St, Ithaca, NY – Participating Artist in the Annual Invitational Show. 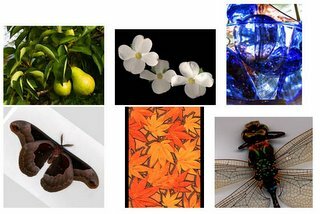 December 2002 – Trumansburg Conservatory of Fine Art, exhibitor in the Winter Festival Show. July 2002 – Grassroots Festival in Trumansburg, NY – Exhibit in the Art Barn Exhibit – 2 pieces. 2001 – History Builders Photo Restoration Service – Creating artifacts of personal history. Using the tools of commercial art to lend to permanence. 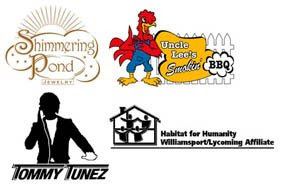 March 2000 – The ARTS of the Southern Finger Lakes – Decentralization Grant, Graphic Designer/illustrator for the book Knotted Lines, The Mazes of John Whiting. Curated show of his mazes at Watkins Glen Public Library. 1995 – Schuyler Hospital, Montour Falls, NY – Art Director, Designer 1995 Annual Report. 1992 – 1995 – YOH Communications for The Campbell Soup Company, Camden New Jersey. Graphic Designer in the Global Design Center. Trainer for senior staff in Quark Xpress, Aldus Freehand, Adobe Illustrator & Photoshop. 1987 – 1988 – SUNY Purchase Office of Publications and Campus Print Shop, Purchase, NY. Used Pagemaker & Photoshop. Lead Trainer for PageMaker for various departments around campus. 1987 – 1990 – SUNY Purchase, Purchase, NY – Bachelor of Fine Art Degree in Sculpture and Graphic Design. My senior project was with Antonio Frasconi & Phil Listengart. Project title; The Thunderwords, James Joyce’s Finnegan’s Wake in Sculpture and Lithography. Sculpture Teachers Assistant for Abe Ajay. 1981 – 1986 – Everett Studios, White Plains, NY – Commercial Arts Production, Pre-press Supervisor, Buyer of subcontracted offset printing. Worked closely with Creative Director, Art Directors, Account Executives, on projects for IBM, General Foods, Pepsico, AT&T and many more. 1977 – 1980 – Attended SUNY Binghamton, Vestal, NY – Majored in Environmental Science. 1980 Chorale Tour Manager to Puerto Rico. This link is to my flikr photostream which contains several albums of images of my work. Like Rumpelstiltskin, I am creating objects of art by weaving together the ubiquitous and the ephemeral instead of straw. 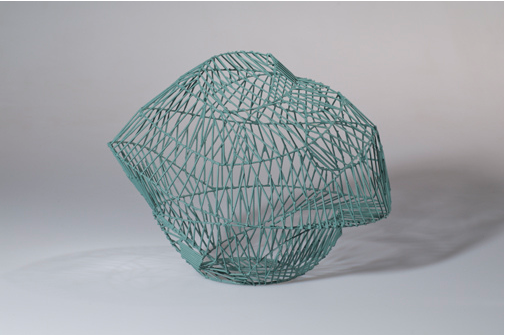 My work is sculptural basketry. Tatlin meets the Appalachian Craft tradition and beautiful organic forms take shape. I have been working sculpturally with toothpicks since I was a young boy. I discovered using the whips of chair cain several years ago, they are the same thickness as a toothpick but they continue on in a long whip. My building technique is based on R. Buckminster Fuller’s geodesic building. My forms are much more organic. Their scale tends to be basket size. They want to sit comfortably on a hatbox size pedestal. They are constructed using hot glue to secure the volume. Then they are dipped in a water based glue/paint solution. Additionally, some of the figures have layers of bee’s wax. I have also experimented with plaster, road striping paint, paraffin. In this work, the toothpick is the perfect brick. It is capable of making accurate equilateral triangles, or, creating different patterns such as fans, herringbones, and parallel building. Unlike the clay brick which wants to form long straight lines, this building style flows and floats up from the base. Like the brick it is predominantly whole but can be trimmed to fit in a space occasionally. I see the way I connect toothpicks relating to the way I make connections with people. I am a web builder creating a web around myself, the volume. I find I am like that with people, finding connections, building relationships. This year, I used my sculptural building to create displays. This gave me the means to display my graphic design and photography within the context of my sculpture. I have also begun to explore using sticks found in nature as the basis for my building. They have a completely different geometry which I am finding is leading more in the direction of rendering the human form. As art work goes, there is little I like better than settling into a nice photo restoration or photo montage project in photoshop. I use the tools of commercial art (disposable art) to help people build personal history. This work is about helping to create new artifacts. The original artifact gets to remain intact and the image is freed to live again. There are two components to this work. Restoration which is more precise, takes forever, and is about healing. And the photo montage which is faster, more fun, and makes great gifts. I think about a line from a Laurie Anderson song where she talks about history being like an angel being blown backwards into the future. She goes on; “and the angel wants to go back and fix things, to repair the things that have been broken. But there is a storm blowing from paradise.” . . . And this storm is called Progress. So for me, the act of restoration can be like a miracle and it can be a blessing that I can bring into someone’s life. Photo restoration is about helping people with healing. It is about giving them back something that they had thought was damaged (a connection to someone really important) that is beyond repair. An example of this is a photo from the early 1960s I restored of a woman as a small girl sitting on Santa’s lap. She was with her dad whom she never knew. It had been found in her grandmother’s house, crumpled and broken in a drawer. It was a tiny 3 inch print that had been kept in the dark so the colors were beautiful, and the optics on the camera that was used were great, so it was a beautiful little print that was incredibly important to this woman, and it was in 5 pieces. I was able slowly build the image back to give her a beautiful 8 x 10 in a little frame. Photo montage, layering in objects, frames, and borders, and combining images and text is really fun. Just imagine picking out a couple small prints from a forgotten old album and scanning them and maybe cleaning them up a little. Then I can create a new artifact where I have layered in two or three images of the same people and given it a nice border or background, and other fun elements. One of the things I have learned in this work is that every body I speak with about this interest has a picture with a story. And I enjoy hearing about each of them, because everybody loves to tell you their story, and I enjoy listening. “I have this picture” they start, and they weave together the lives of their family and friends, the oral history tradition alive and well. All lending to our permanence as people. Contributing to the pile of things we leave behind that say something about us as people, and making connections. It is interesting to see all the ways computers enhance the process of photography. In days past, it was the moment when the film was exposed that defined so much about the image. In the digital world, once the photograph is taken, the real fun begins. I work sometimes very directly, by putting objects right on the scanner. Again, the moment of the exposure is just the beginning. The image comes about from what happens next. My three sons & I spend time in the summer with nets in hand walking around our pond. We find numerous species of dragonflies which we have taken to scanning at upwards of 2400 dpi. Looking at them at that level of resolution is like viewing them under a microscope. Now that I am shooting in RAW format, I am finding a great richness to digital photography. I like the spontaneous feeling of being out for the day with my camera. Other than missing the SLR experience of looking through the lens, it is great to be able to just shoot as much as you want. I have been printing with an Epson 2200 which uses 7 pigmented inks and can print on a wide variety of papers including Arches Watercolor paper. I am exploring ways this can be used for portraits. In this series, I bring together many aspects of my work. The postscript drawing, the montage of objects, resourcing up of found images, mixing graphics and photography. I start with little 28k files from Weather.com. I generally grab them when the weather is exciting. I turn them into 50 mg files (I make them 300 dpi 11x14s) and filter out the rasterizing. There are layers of line work, art, and photography. In the pink one with Venus, I drew out the lines of barometric pressure from the weather map to use graphically in different parts of the composition. I like the idea of turning the map of the United States on it’s side. It really pushes the map of the US graphically. It becomes a backdrop for a delicous drama, highly abstracted and juxtaposed with an all star line up from the world of art, photographs, and icons from the 20th Century. I see these evolving to become the base layer in shadow boxes. There is so much that could be done with sculptural layering out and with graphics and painting on glass. It is so much fun to take someone’s concept and bring it to life as an identity with line work and type. The development process is one of going back & forth with the client in a feedback loop. They need to be willing to work at explaining what they want, showing me things they like, saying what they don’t like. It can require several rounds of emails, but when you start to get closer, the client starts to feel ownership of this image that is their Identity. They can truely identify. I used to have thousands of fonts on my computer. I now think it is good to look to the basic fonts which come with the computer for 80% of my design work. There is a reason those fonts were chosen, they cover a nice range of styles, and using them makes for harmonious layouts as projects progress. I also collect type books when I go snooping in junk shops. I like to cut and paste the letters from the font alphabets in Photoshop, building the logo digitally with layers, drawing with the pen tool, exporting paths to Illustrator. The results of this can be very dynamic. I learned about postscript drawing a number of years ago. I can spend hours just laying out anchor points and direction points. It is also great to use postscript drawing in Photoshop as a masking tool. I find it particularly useful to use in files where I have done significant resourcing-up and I need to reduce rasterizing. To me, postscript drawing is central to the act of creating line art. Pixels are cool but creating vectors is the ultimate.